Once again, sumo finds itself embroiled in a violence scandal. It is of course depressing that the sport can’t seem to get out of its own way, but perhaps these problems are a side effect of the transition from a hidden world to one where almost every little detail and action is discoverable online. Rikishi themselves seem to be fueling a new openness, with even lower rankers boasting social media accounts where they livestream conversations among themselves on many nights. While there are fewer actual incidences of hazing and violence than in the past, those that do occur are more likely to become known to outsiders, with the result of sumo’s public perception worsening even as it makes gradual improvements. This time it was victim turned villain as Takanoiwa, the man at the center of the Harumafuji scandal a year ago, beat one of the juniors in his stable over some minor infraction. This spurred incredulity online as people struggled to understand how Takanoiwa could have failed to learn from the lessons of 2017. The issue at heart is that even in these enlightened times, the standard for what sumo people consider “violence” is far different from that of the general public. That’s partly a consequence of a lifestyle which sees young men fight with full intensity, hour upon hour, every single day. When your daily routine involves being slammed into the ground over and over as well as dishing out and receiving slaps and thrusts to the face and head, incidents considered “assault” by any other person barely raise a swollen eyebrow in the sumo world. Takanoiwa, for his part, retired almost immediately. 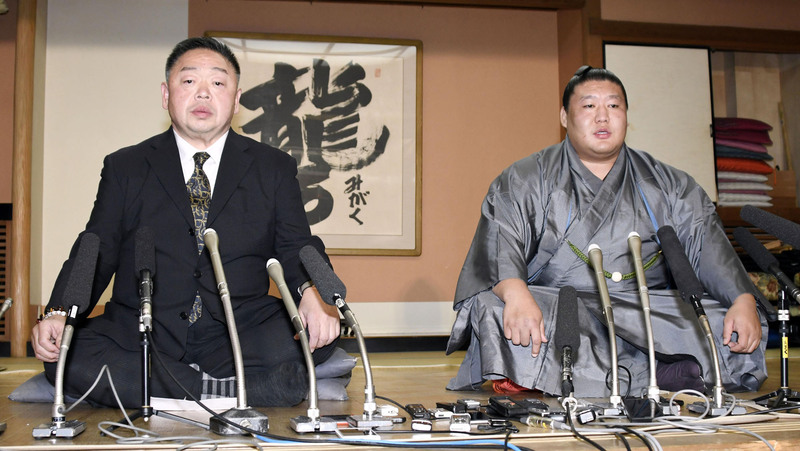 Some media outlets said he was running away rather than face the music, but the veteran obviously understood that the new reality of sumo means these kinds of incidents are far more likely to be met with dismissal than suspension. Either way, the case is closed and it certainly doesn’t seem to have had any effect on the sport’s overall popularity. Tickets for the upcoming January meet were all gone within five hours of going on sale last week. For fans coming from overseas, it has become nearly impossible to get good (or indeed any) seats in the Kokugikan during tournaments. This means visitors to the capital have far fewer opportunities to witness the pageantry of sumo. The good news for anyone coming early in the year, however, is that there are two special one-day events in February that not only recreate a lot of the spectacle of a regular tournament but also include activities only seen on regional tours. On Feb. 10, the 43rd “Ozumo Tournament” takes place at the Kokugikan. Unlike regular honbasho tournaments, this is a straight knockout event where five or six wins gets you the championship. Results don’t affect standings, but there is a prize fund of ¥11 million. This can occasionally lead to some surprise tournament winners as lower-ranked wrestlers have proportionately more incentive to go all out, compared to yokozuna who are already wealthy and perhaps more focused on recovery from the just-finished January meet. Aoiyama was one of the unlikely winners in 2013. His stablemate Tochinoshin is the reigning champion. The event has an English website, but the portal for purchasing tickets is only available in Japanese. One day earlier, the Kokugikan hosts something even more interesting. The “NHK Welfare Ozumo” tournament is a charity event used to raise funds for organizations which help the aged and people with disabilities. Special easy-access vehicles are donated every year by the organizers and car manufacturers. The event is unique in that a large stage is set up on one side of the dohyo and activities take place there as well as in the ring. One of the most popular features is when wrestlers join famous singers for duets or even perform with bands. Usually there is a mix of older and younger artists in order to appeal to all age groups. Midori Oka, Maneki-kecak and Hiromi Iwasaki are among those slated to appear this coming February. Over the years, the NHK Welfare Ozumo event has also included things such as chat-show interviews in the ring, sumo with kids and traditional jinku folk singing by wrestlers. 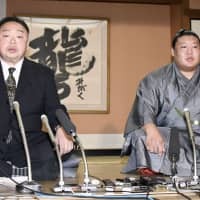 My personal favorite was a game of musical chairs in 2005 involving Kisenosato, Harumafuji and Takamisakari among others. The final “chair” was a large red ball that was almost impossible to balance on top of. With a little bit of sumo thrown into the action, the crowd was in stitches. Another time, several top rankers played darts with blowguns. Every year there is something new and fun for the audience. There is no English language site for the event, but tickets are available at all the usual outlets in Japan. In a time when tickets for sold-out tournaments are like gold dust but the image of the sport continues to suffer, the one-day events in February offer a chance to watch sumo live as well as see its lighter side.